Veterinary clinics and hospitals would simply not run without a strong, supportive team of veterinary technicians to support the veterinarian, handle and monitor patients, and answer any questions that owners have. Vet techs complete much of the “behind the scenes” work at veterinary clinics through recording patient vitals and statistics, monitoring patients after surgery, running tests, preparing vaccines, and so much more. The MeasureON! harness records dog vital signs (temperature, pulse, and respiratory rate); important statistics typically assigned to veterinary technicians to monitor. Identifying changes in these signs early is key to ensuring all patients recover from surgery quickly and minimize the duration of hospitalization. Through entrusting MeasureON! 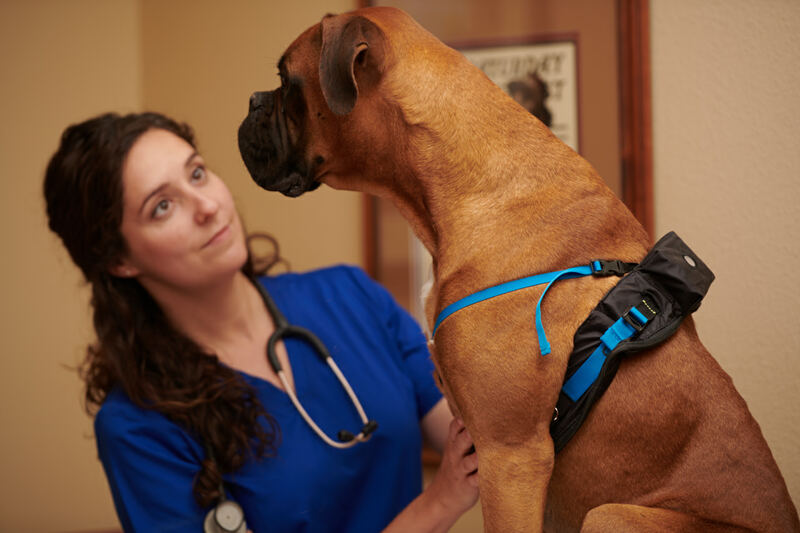 harnesses to monitor these patients, vet techs have more time to devote to other parts of their job. For more information on our soft-launch in Wellington Veterinary Hospital Click HERE. For more information on the MeasureON! Harness click HERE.